Hallucinogens are a chemically diverse group of drugs that cause changes in a person's thought processes, perceptions of the physical world, and sense of time passing. Hallucinogens can be found naturally in some plants, and can be synthesized in the laboratory. Most hallucinogens are abused as recreational drugs. Hallucinogens are also called psychedelic drugs. Although several hundred plants are known to contain compounds that cause hallucinations, most hallucinogens are synthesized in illegal laboratories for delivery as street drugs. The best known hallucinogens are lysergic acid diethylamide (LSD), mescaline, psilocybin, and MDMA (ecstasy). Phencyclidine (PCP, angel dust) can produce hallucinations, as can amphetamines and marijuana, but these drugs are not considered classic hallucinogens and are discussed under separate entries. In addition, new designer drugs that are chemical variants of classic hallucinogens are apt to appear on the street at any time. Although hallucinogens produce similar physical and psychological effects, they are a diverse group of compounds. However, all hallucinogens appear to affect the brain in similar ways. Although the mechanism of action of hallucinogens is not completely understood, researchers have shown that these drugs bind with one type of serotonin receptor (5-HT 2 ) in the brain. Serotonin is a neurotransmitter that facilitates transmission of nerve impulses in the brain and is associated with feelings of well-being, as well as many physiological responses. When a hallucinogenic compound binds with serotonin receptors, serotonin is blocked from those receptor sites, and nerve transmission is altered. There is an increase in free (unbound) serotonin in the brain. The result is a distortion of the senses of sight, sound, and touch, disorientation in time and space, and alterations of mood. In the case of hallucinogen intoxication, however, a person is not normally delirious, unconscious, or dissociated. He or she is aware that these changes in perception are caused by the hallucinogen. Pure LSD is a white, odorless, crystalline powder that dissolves easily in water, although contaminants can cause it to range in color from yellow to dark brown. LSD was listed as a Schedule I drug under the Controlled Substance Act of 1970, meaning that it has no medical or legal uses and has a high potential for abuse. LSD is not easy to manufacture in a home laboratory, and some of its ingredients are controlled substances that are difficult to obtain. However, LSD is very potent, and a small amount can produce a large number of doses. On the street, LSD is sold in several forms. Microdots are tiny pills smaller than a pinhead. Windowpane is liquid LSD applied to thin squares of gelatin. Liquid LSD can also be sprayed on sugar cubes. The most common street form of the drug is liquid LSD sprayed onto blotter paper and dried. The paper, often printed with colorful or psychedelic pictures, is divided into tiny squares, each square being one dose. Liquid LSD can also be sprayed on the back of a postage stamp and licked off. Street names for the drug include acid, yellow sunshine, windowpane, cid, doses, trips, and boomers. Mescaline is a naturally occurring plant hallucinogen. Its primary source is the cactus Lophophora williamsii . This cactus is native to the southwestern United States and Mexico. The light blue-green plant is spineless and has a crown called a peyote button. This button contains mescaline and can be eaten or made into a bitter tea. Mescaline is also the active ingredient of at least ten other cacti of the genus Trichocereus that are native to parts of South America. Mescaline was first isolated in 1897 by the German chemist Arthur Hefftner and first synthesized in the laboratory in 1919. Some experiments were done with the drug to determine if it was medically useful, but no medical uses were found. However, peyote is culturally significant. It has been used for centuries as part of religious celebrations and vision quests of Native Americans. The Native American Church, which fuses elements of Christianity with indigenous practices, has long used peyote as part of its religious practices. In 1970 mescaline was listed as a Schedule I drug under the Controlled Substances Act. However, that same year the state of Texas legalized peyote for use in Native American religious ceremonies. In 1995, a federal law was passed making peyote legal only for this use in all 50 states. Psilocybin is the active ingredient in what are known on the street as magic mushrooms, shrooms, mushies, or Mexican mushrooms. There are several species of mushrooms that contain psilocybin, including Psilocybe mexicana, P. muscorumi, and Stropharia cubensis . These mushrooms grow in most moderate, moist climates. Psilocybin-containing mushrooms are usually cooked and eaten (they have a bitter taste), or dried and boiled to make a tea. Although psilocybin can be made synthetically in the laboratory, there is no street market for synthetic psilocybin, and virtually all the drug comes from cultivated mushrooms. In the United States, it is legal to possess psilocybin-containing mushrooms, but it is illegal to traffic in them, and psilocybin and psilocyn (another psychoactive drug found in small quantities in these mushrooms) are both Schedule I drugs. MDMA, short for 3,4-methylenedioxymethamphetamine, and better known as ecstasy, TXC, E, X, or Adam, has become an increasingly popular club drug since the 1980s. MDMA was first synthesized in 1912 by a German pharmaceutical company looking for a new compound that would stop bleeding. The company patented the drug, but never did anything with it. A closely related drug, methylenedioxyamphetimine or MDA, was tested by a pharmaceutical company as an appetite suppressant in the 1950s, but its use was discontinued when it was discovered to have hallucinogenic properties. 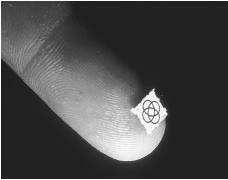 In the 1960s, MDA was a popular drug of abuse in some large cities such as San Francisco. During the early 1980s therapists experimented with MDMA, which was legal at the time, as a way to help patients open up and become more empathetic. Recreational use soon followed. The drug was declared an illegal Schedule I drug in 1985. For about a year between 1987 and 1988, the drug was again legal as the result of court challenges, but it permanently joined other Schedule I hallucinogens in March 1988. MDMA is a popular club drug and can be obtained at all-night raves or dance parties. The drug, sold in tablets, is attractive because it combines stimulant effects that allow ravers to dance for hours with a feeling of empathy, reduced anxiety, and reduced inhibitions, and euphoria. Some authorities consider MDA and MDMA stimulant-hallucinogens and do not group them with classic hallucinogens such as LSD, but research indicates that MDA and MDMA affect the brain in the same way as classic hallucinogens. The American Psychiatric Association considers MDMA as a drug that can cause hallucinogen-related disorders. They are minimally addictive and there are no physical withdrawal symptoms upon stopping use. They produce few serious or debilitating physical side effects. They do not usually produce a delusional state, excessive stupor, or excessive stimulation. They do not cause memory loss with occasional use. They are easily and cheaply available. They produce a high that gives the illusion of increasing creativity, empathy, or self-awareness. Deaths from overdoses are rare. On the other hand, strong hallucinogens such as LSD can cause frightening and anxiety-evoking emotional experiences, known as bad trips. Flashbacks, where the sensations experienced while under the influence of a drug recur uncontrollably without drug use, can occur for months after a single drug use. During hallucinogen intoxication, reality may be so altered that a person may endanger himself by believing he is capable of feats such as flying off buildings. Hallucinogens also may induce or cause a worsening of latent psychiatric disorders such as anxiety, depression, and psychosis . Hallucinogens can also cause paranoia , long-term memory loss, personality changes (especially if there is a latent psychiatric disorder), and psychological drug dependence. Hallucinogens work primarily on the perception of reality. They usually do not create true hallucinations, which are imagined visions or sounds (voices heard in the head, for example) in the absence of any corresponding reality. Instead, classic hallucinogens alter the perception of something that is physically present. A face may appear to "melt" or colors may become brighter, move, and change shape. Sounds may be "seen," rather than heard. More than with other drugs, the mental state of the hallucinogen user and the environment in which the drug is taken influence the experience a user has. LSD, especially, is known for symptoms that range from mellowness and psychedelic visions (good trips) to anxiety and panic attacks (bad trips). Previous good experiences with a drug do not guarantee continued good experiences. People with a history of psychiatric disorders are more likely to experience harmful reactions, as are those who are given the drug without their knowledge. confusion of the senses—sounds are "seen" or vision is "heard"
LSD on a small piece of blotter paper shown on the tip of a finger. Hallucinogen use, excluding MDMA, peaked in the United States late 1960s as part of the hippie movement. Hallucinogen use then gradually declined until the early 1990s, when it again picked up. Usage appears to have peaked around 1998, and may now be remaining steady or declining. Hallucinogens are drugs normally used by adolescents and young adults in social settings such as dance parties or raves. Even heavy users do not use these drugs more than two or three times a week. Casual or occasional use is common and many people outgrow their use. Unlike LSD use, MDMA use has increased enormously since the 1980s. Between 1995 and 1999 its use by 18- to 25-year-olds increased 47%. In a survey of 400 hospitals, MDMA-related emergency room visits increased 58% between 1999 and 2000. One-third of these visits involved people under the age of 25. In 2000, the last year for which statistics are available, the National Institute of Drug Abuse found that about 11% of twelfth-grade students had used LSD and about 7% reported using other hallucinogens. People who use hallucinogens are also likely to abuse alcohol and marijuana. Hallucinogen dependence and abuse are normally diagnosed from reports by the patient or person accompanying the patient of use of a hallucinogenic drug. Active hallucinations and accompanying physical symptoms can confirm the diagnosis, but do not have to be present. Routine drug screening does not detect LSD in the blood or urine, although specialized laboratory methods can detect the drug. Hallucinogen dependence differs from other drug dependence in that there are no withdrawal symptoms when the drug is stopped, and the extent of tolerance, (needing a higher and higher dose to achieve the same effect) appears minimal. Hallucinogen intoxication is diagnosed based on psychological changes, perceptual changes, and physical symptoms that are typical of hallucinogen use. These changes must not be caused by a general medical condition, other substance abuse, or another mental disorder. Hallucinogen persisting perception disorder, better known as flashbacks, occur after hallucinogen use followed by a period of lucidity. Flashbacks may occur weeks or months after the drug was used, and may occur after a single use or many uses. To be diagnosed as a psychiatric disorder, flashbacks must cause significant distress or interfere with daily life activities. They can come on suddenly with no warning, or be triggered by specific environments. Flashbacks may include emotional symptoms, seeing colors, geometric forms, or, most commonly, persistence of trails of light across the visual field. They may last for months. Flashbacks are most strongly associated with LSD. Hallucinogen intoxication delirium is rare unless the hallucinogen is contaminated by another drug or chemical such as strychnine. In hallucinogen intoxication, the patient is still grounded in reality and recognizes that the experiences of altered perception are due to using a hallucinogen. In hallucinogen intoxication delirium, the patient is no longer grounded in reality. Hallucinogen-induced psychotic disorders are similar in that the patient loses touch with reality. Psychotic states can occur immediately after using the drug, or days or months later. Hallucinogen-induced mood disorder and hallucinogen-induced anxiety disorder are somewhat controversial, as hallucinogen use may uncover latent or pre-existing anxiety or mood disorders rather than being the cause of them. However, it does appear that MDMA use can cause major depression. Acute treatment is aimed at preventing the patient from harming himself or anyone else. Since most people experiencing hallucinogen intoxication remain in touch with reality, "talking down" or offering reassurance and support that emphasizes that the bad trip, anxiety, panic attack , or paranoia will pass as the drug wears off is often helpful. Patients are kept in a calm, pleasant, but lighted environment, and are encouraged to move around while being helped to remain oriented to reality. Occasionally, drugs such as lorazepam are given for anxiety. Complications in treatment occur when the hallucinogen has been contaminated with other street drugs or chemicals. The greatest life-threatening risk is associated with MDMA. Users may develop dangerously high body temperatures. Reducing the patient's temperature is an essential acute treatment. Treatment for long-term effects of hallucinogen use involve long-term psychotherapy after drug use has stopped. Many people find 12-step programs or group support helpful. In addition, underlying psychiatric disorders must be addressed. Because hallucinogens are not physically addictive, many people are able to stop using these drugs successfully. However, users may be haunted by chronic problems such as flashbacks or mood and anxiety disorders either brought about or worsened by use of hallucinogens. It is difficult to predict who will have long-term complications and who will not. Hallucinogen use is difficult to prevent, because these drugs have a reputation for being non-addictive and "harmless." Drug education and social outlets that provide people with a sense of self-worth are the best ways to prevent hallucinogen and other substance abuse. American Psychiatric Association Diagnostic and Statistical Manual of Mental Disorders. 4th ed., text revised. Washington DC: American Psychiatric Association, 2000. Holland, Julie, ed. Ecstasy: The Complete Guide. Rochester, Vermont: Park Street Press, 2001. Sadock, Benjamin J. and Virginia A. Sadock, eds. Comprehensive Textbook of Psychiatry. 7th ed., Vol. 1. Philadelphia: Lippincott Williams and Wilkins, 2000. National Institute on Drug Abuse. 5600 Fishers Lane, Room 10 A-39, Rockville, MD 20857. (888) 644-6432. <http://niad.nih.gov> . Partnership for a Drug-Free America. 405 Lexington Avenue, New York, NY 10174. (212) 922-1560. <http://www.drugfreeamerica.org> .